Oranges contain dietary fibre. An orange contains 3.1 grams of total dietary fibre. This fibre content will fill your stomach up for a longer period of time. If you eat an orange before your meal, the fibre content of the fruit might fill you up. This will make you eat a smaller meal. 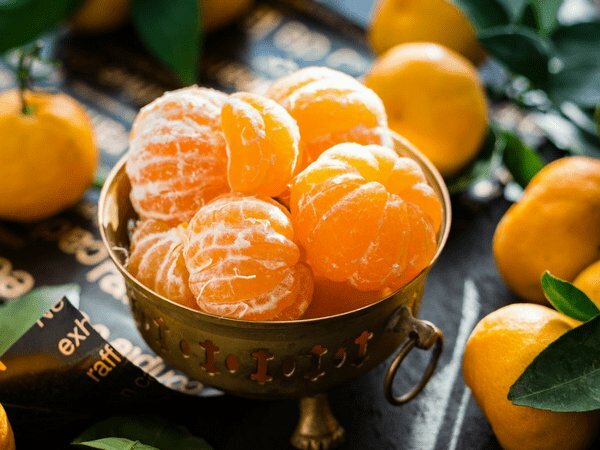 A single orange is lower in calories than other snacks. A serving of plain salted potato chips contains 154 calories, which is double the calories in orange. So, as a healthy snack you can consume oranges. The orange juice should be a freshly squeezed one. Do not drink packaged or bottled orange juice, no matter if the packaging claims that it’s 100 percent natural juice. It’s always better that you consume homemade orange juice or for that matter any other fruit juice.